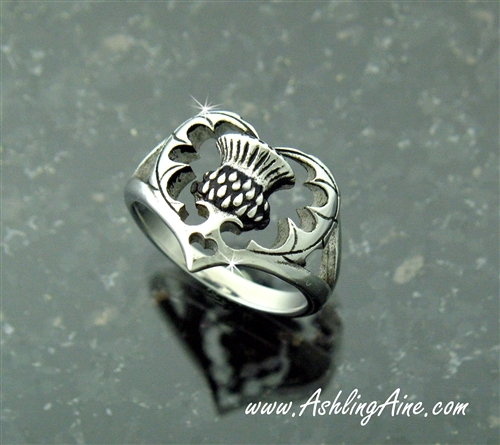 Breathtaking Scottish Thistle Heart Ring is full of details including a small heart at the bottom of the ring. 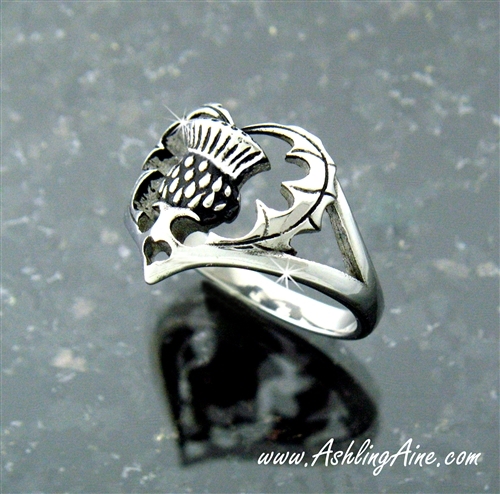 A striking 3 dimensional Scottish Thistle in the center of the ring is surrounded by the leaves creating a heart shape. A split shank on the sides of the heart narrows to a single band. 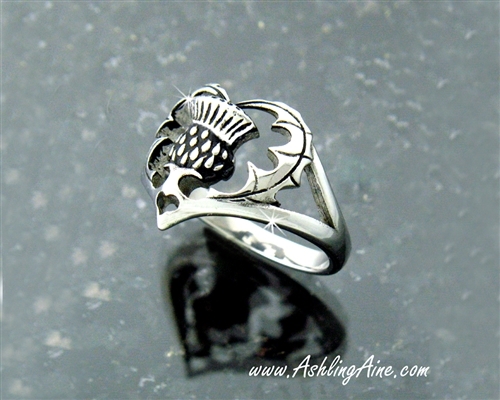 Detailing in the leaves and Thistle are accented with a black antiquing to add to the overall beauty of the ring.